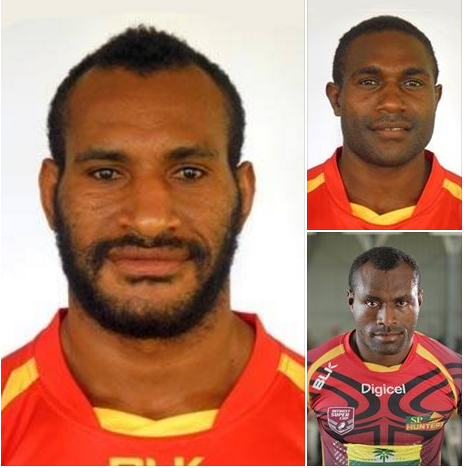 Three players vying for the PNG Hunters captaincy in 2016 will get their chance to lead the side in the club’s only pre-season fixture on February 6 against the Penrith Panthers. Coach Michael Marum said halfback Ase Boas, centre Noel Zeming and lock Adam Korave were all in the running to fill in the leadership role left vacant by Israel Eliab when the South Pacific Brewery-sponsored side meet the team from the National Rugby League at the National Football Stadium (formerly the Lloyd Robson Oval) in 10 days' time. Papua New Guinea Rugby Football League chief executive officer Bob Cutmore said Marum had returned from a week-long stint with the Brisbane Broncos earlier in the month with “a different attitude” and was going about making changes to the Hunters set up that would have a positive effect on the players and staff. The Saturday night game will kick off at 5.45pm. Marum stressed that a final decision on who would be the club captain in 2016 would be made at the Hunters season launch next month but the three were the leading candidates for the job. “We’ve got the senior boys there who will lead the side against the Panthers and they are Noel (Zeming), Ase (Boas) and Adam (Korave),” Marum said. Marum confirmed that the game would use an unlimited eight-man inter-change rule giving him the chance to use most of his squad. Several players will miss the match with injury however with prop Enoch Maki (knee), centre Anderson Benford (ankle) and backrower Brandy Peter (hand) the most serious casualties. Development player Simon Peter was listed as injured with a sternum complaint but did take part in the drills yesterday at the Sir John Guise Stadium. Forward Timothy Lomai was not included in the squad to play the Panthers as he is still under suspension (disciplinary grounds). Marum told his players that they are not all guaranteed to play as he wanted to use the game as a trial to gauge the ability of a number of his new players as they adapt to the nuances of the game played at Q-Cup and NSW Cup level. New recruits Ishamel Balkawa, Watson Boas, Sailas Gahuna, Benjamin Hetra, Philemon Kimisive, Tuvi Lepan, Justin Olam, William Aquila and John Ragi are all expected to get game time as Marum works out a starting 17 for the Intrust Super Cup opening round clash against the Souths Logan Magpies at Davies Park, Logan City, Brisbane, on March 6. Tickets for the SP Hunters v Penrith fixture will go on sale on Feb 3 at all Stop and Shop outlets in Port Moresby. Ticket prices for the match at the official opening of the National Football Stadium (NFS) will be K50 in the grandstand and K25 in the outer stands. To celebrate the first game played at the NFS all fans at the game will receive a commemorative poster. Hunters squad: Stargroth Amean, Bland Abavu, Edward Goma, Thompson Teteh, Adex Wera, Noel Zeming, Ase Boas, Esau Siune, Wartovo Puara Jr, Henry Wan, Adam Korave, Nickson Borana, Warren Glare, Benjamin Hetra, Ishmael Balkawa, Ate Bina Wabo, Philemon Kimisive, Gahuna Sailas, Justin Olam, Tuvi Lepan, John Ragi, Watson Boas, William Aquila.